The microbiome is made up of dynamic communities of trillion microbes, and consists of eukaryotes, archaea (primitive single-celled organisms), bacteria and viruses that reside on and in our bodies. These microbes complement each other and the human host, and play important roles in a variety of biological processes. Indeed, 0ur microbial partners carry out a number of metabolic reactions that, although not encoded in the human genome, are necessary for human health. Thus, the microbiome is a newly recognized organ—sometimes dubbed the “forgotten organ”—capable of a great variety of metabolic activities. Let’s explore a case in point: the interaction of the intestinal microbiome with the immune system. Until now, results from numerous studies indicated that colonization of the body with microbes after birth was the main stimulus driving immune development. Now, results from a new study (The maternal microbiota drives early postnatal innate immune development), published in the journal Science (March 18, 2016), show that the mother’s microbiome shapes the immune system of her offspring. The researchers found that the temporary E. coli colonization influenced the development of the pups’ innate immune system by not only increasing intestinal group 3 innate lymphoid cells, but also one of the specific types of mononuclear cells. Similar results were seen when pregnant mothers were temporarily colonized with a cocktail of eight other microbes. In addition, RNA analysis of pups born to the transiently colonized mothers revealed greater expression of numerous genes, including those that influence cell division and differentiation, mucus and ion channels, and metabolism and immune function. The researchers found that some of these effects are dependent on maternal IgG antibodies, which potentially retain microbial molecules and are transferred across the placenta, thus facilitating the transmission and retention of the microbial molecules from a mother to her babies during pregnancy and through breastfeeding. The scientists also found that pups born to mothers transiently colonized in pregnancy were better able to avoid inflammatory responses to microbial molecules and penetration of intestinal microbes. If the infant is colonized with the mother’s microbiota while passing through the birth canal, what about infants that are born from cesarean section, who never pass through the birth canal? As it turns out, these infants are born with far less microflora than those born through the birth canal, specifically in the intestines. Intestinal microflora is important in developing antigen presenting cells, adaptive immunity cells and for preventing the growth of pathogens. Children born by C-section fail to ingest gut bacteria that is needed to colonize the intestines. Research shows that these children also have an increased risk of autoimmune diseases, type 1 diabetes and asthma. It is believed that non-exposure to the mother’s intestinal immunity through the birth canal is responsible for the increased risk of illnesses. When the child’s body does not encounter the microbes early in life, the immune system cannot properly build tolerance for them which makes future exposure dangerous. These babies are born with some microbiota though mainly staphylococcus which is found on the skin and is also important in immunity and they receive antibodies through breast milk. Rmichel, you have explained a great point and after reading your research I see how babies could be greatly affected simply by not being born naturally. A compromised immune system is a very delicate situation for a new born, however those first few minutes after birth are crucial and they make a difference. Research shows that there is an answer to making up for the loss of immunity when babies are born through C-section and this is done by swabbing the babies with vaginal fluids minutes after they are born. A study of 18 babies was completed, some born vaginally and others born through C-section. At the conclusion of the study, the babies with the swab had immune systems comparable to that of the naturally born babies. There are testing measures and factors to keep in mind since there was only a small test group. However, this opens doors for further research. Nonetheless, as you said, the most successful way to promise that a child is born with the strongest immunity is to be born through the vaginal canal. This article presents a major life determining aspect with the development of the immune system once we are born thanks to maternal microbiome. The intestinal microbiota in our body has bacteria that is essentially good for us and may be the driving force to immune development. The study conducted an experiment of germ-free pregnant mice that was colonized by E. Coli so that the colonization could be transient and have the mother be germ-free when delivering her pups. However, the E. Coli colonization increased innate lymphoid cells and mononuclear cells probably due to microbiota presence in the mother’s antibodies that transmitted to her pups. If all of this allows the transmission of microbiota to her offspring even germ-free, then what happens to the offspring if there transmission interruptions during the process when the mother is introduced to vaccines, stress, and infection? An article showed that transmission interruptions could cause a risk for certain defects or diseases presented to the offspring like celiac disease, asthma, diabetes, obesity, etc. I took a Perspectives class last two years ago on Global Autism due to vaccines. Knowing the transmission of maternal microbiome to her offspring occurs during pregnancy, any type of problems introduced to the mother may also be a complication to her child as well. So how come the mother’s microbiome not be able to counterattack these complications like stress and infection to prevent transmission to her child? Then would the microbiota of the mother be beneficial to her child or dangerous instead? Can an infection-free microbiota be injected to a new-born right after birth be more beneficial to avoid infection transmission from the mother’s? Tbui, First of all, those questions that you have also had been pondered by many researchers. Secondly, the transmission of mother’s microbiome to her offspring during pregnancy is not actually the microbes itself but only microbe particles (microbes can not travel through the placenta). In the current article, the researchers report that molecules of microbes living in the maternal intestine can be transmitted to the baby through the placenta or through breast milk via IgG antibodies. These microbial fragments are somewhat harmless and do not cause any infection. Instead, they help stimulate cells in the baby’s body to prepare its immune system. When a baby is born, if through vaginal delivery, the baby will leave the sheltered environment of the uterus and enters the world through the vaginal canal. This is where the newborn get exposes and ingest mother microbiota. These two processes will increase the baby immune system by stimulating the adaptive immunity through the production of antibodies. The question regarding whether the maternal biomes are harmful or beneficial to the newborn all depends on what kind of microbiota we’re talking about. That is why the decision to whether the delivery is through c-section or natural all depends on the mother health. Ultimately I do believe that the choice should be weighted to see if the benefit has outweighed the risk. This was a very, VERY cool study to read about. Interestingly, this study answered the exact questions laid out in article I linked below. However, it seems to contradict many studies that link cesarian births to lowered immune performance. If the baby gets the immune exposure it needs within the womb, cesarians might not matter as much as they have been proven to. I wish this study had compared this experimental group to pups born to their mothers natural microbiota, including any antibodies they may have naturally transferred during gestation or during birth, rather than simply pups born germ-free entirely. In essence, I wish they had attempted to determine how much of our immunity comes from the birthing process, and how much from metabolite transfer in the womb. Despite these questions, I think this study opens a hold new world of preventative medicine and prenatal preparation. Imagine vaccines intended to boost fetal immune systems to prepare them better for the outside world? I wonder if flu vaccines given to mothers during pregnancy have any lasting effect on fetuses. These are the next questions I would ask. Perhaps a similar study with targeted vaccines (such as the flu, for instance) that exposed the pups to the disease causing agent after birth. This could provide more conclusive evidence to support prenatal transfer, and reveal just how significant these transfers can be, or how long lasting. I may be mistaken, but the findings of this study don’t actually contradict the caesarian/immune correlation because the baby actually doesn’t receive immune exposure in the womb. This exposure occurs during the birthing process when antigen-carrying IgG antibodies are transmitted from the placenta to the baby. This actually supports the caesarian/immune correlation because babies born through this process are deprived of this interaction so they never obtain the IgG antibodies. However, it is important to acknowledge the different factors that alter immune development being that Caesarian delivery is not the only factor in negatively affecting a developing baby’s immune system. Pregnant women who take antibiotics decrease the variation in their microbial environment. This lack of diversity is can hinder the potential of the baby’s development. Also, giving an infant formula too early may interfere with its gut microbial development. Studies of this nature are especially essential when focusing in the context of the increasing use antibiotics and low rates of breast feeding compared to formula feeding. I am very interested in microbe interactions in the body and enjoyed reading this article. Researchers discovered that inoculating pregnant mice with certain microbes greatly influenced the immune system of the offspring. What I found intriguing about the research was the findings that the baby mice were expressing the genes so early for immune function. I think this would be a great idea to apply to humans with babies that are born with pre exisiting conditions that increase their susceptibility to illness, as a way to strengthen their immunity. It has long been known that mother’s pass immunity to the fetus and can transmit antibodies to the baby. I think what would make an interesting experiment is to see how the mother’s diet affects the babies immunity. 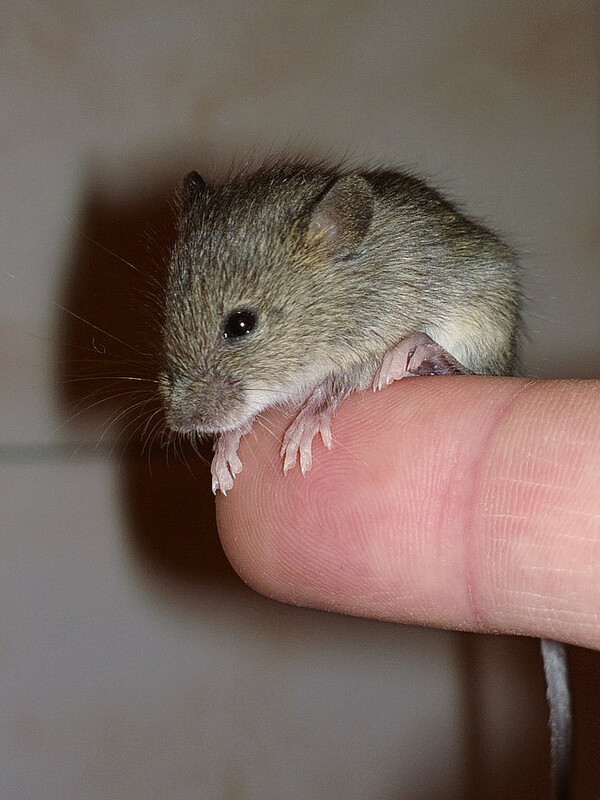 It is almost similar to a mother mice being inoculated with the microbes, except the change happens naturally. A research study found that those who ate a more animal- based diet had an increase of bacteria that could tolerate bile acids which could lead to an increased risk of inflammatory bowel disease. There was a decrease in Firmicutes, which break down carbs and is found more so in those with a plant based diet. Another interesting find from a different article was that diets high in fat affect IL-1β levels in neutrophils, which is important in the inflammatory response, cell differentiation, and proliferation. I’m curious as to if and how this could affect the fetus’s immune system. From birth, coexistence with bacteria has lead to a symbiotic relationship involving immunity. Microbial informatics provides insight on the possible benefits and the responsible microflora and their mechanisms. The microbiota includes species such as Bacteroidetes, Firmicutes, Proteobacteria, Actinobacteria and Fusobacteria. The species that are dominant during vaginal delivery are Lactobacillus, Prevotella and Sneathia. The microbiota from C-sections include species such as Staphylococcus, Corynebacterium and Propionibacterium. The variety in colonization of bacteria in the microbiota in combination with gut homeostasis leads to an array of different affects. The most profound is ability to regulate the inflammatory tone of the tissues and priming of neutrophils. It is interesting to identify different type of bacteria and their ability to utilize host’s material in a way that is beneficial to both parties. Each species has its own metabolic preferences and the by-products from their metabolism may benefit other species and provide the host with protection from harmful bacteria that invade healthy tissues.